Thank you for your interest in imobhub and our Outsourced Mobile Development & Mobile Testing Services. Please provide your information in the form below. Custom Software Lab prides itself on being a market leader not only design & development, but as a industry innovator and technological giant. Our technical and service capabilities range from complete website design to complex database driven custom business software application development. We deliver technology solutions that help our clients increase the effectiveness of their business software. Our talented team of web designers, software developers and project managers are skilled in new-age technologies which provides our clients next generation custom software solutions today. We have expert team that is expertise in almost all web technologies but our main strength is php technology and its frameworks. 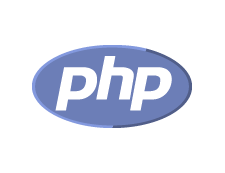 We are the only one of the experienced & best Solutions for php programming because it is being managed by senior most developers. They are easy to understand your entire requirement and provide you complete project on time without being any delay. Today's fast-growing mobile application and web development company in world. © 2019 iMobhub. All Rights Reserved.